I hesitated when I wrote the title of this article. 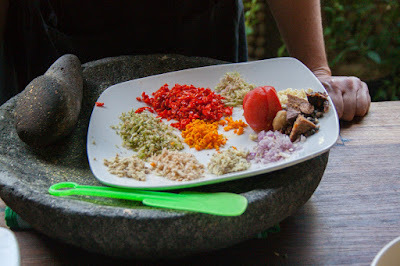 I was going to call it "Tracking down authentic food in Bali". Just as my fingers hovered above the keyboard I remembered that I hate the word authentic. In relation to food what does it mean anyway? Cuisines are constantly evolving. The availability of produce over time has dramatically changed the face of what the world eats. A dish and it's ingredients can vary greatly depending on location and tradition. Authenticity in food is a lie. 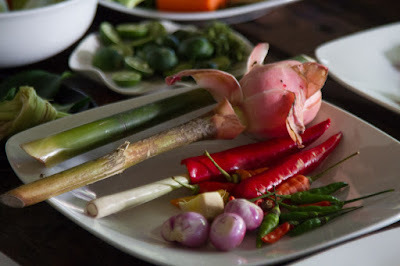 I realised that I wasn't wanting to write a guide on where to find authentic Balinese cuisine as I wasn't judging one Balinese dish over another in terms of how traditional it is. I was wanting to write a guide on where to find Balinese cuisine in Bali full stop. 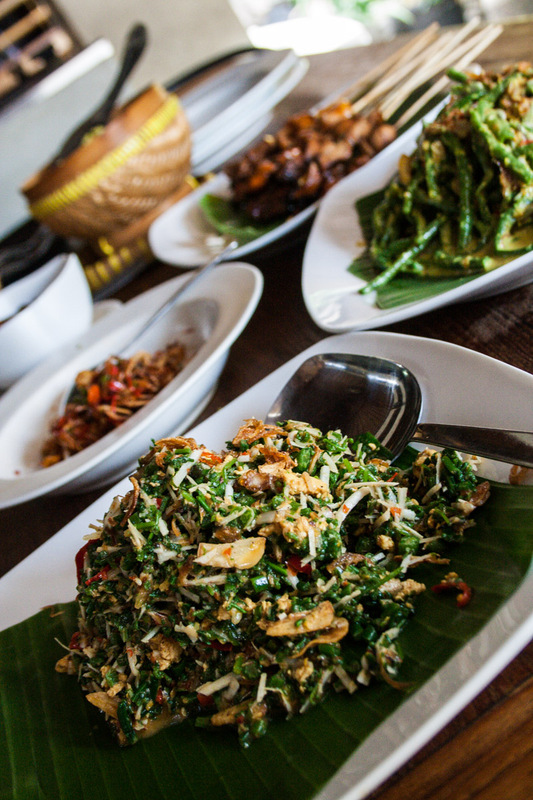 Now that may sound odd, you would think Balinese food in Bali should be ubiquitous but Bali being the tourist mecca it is the food is heavily catered to Western palates. Bali of recent times has also become a hot spot for well known Australian chefs to put down roots in the form of restaurants. 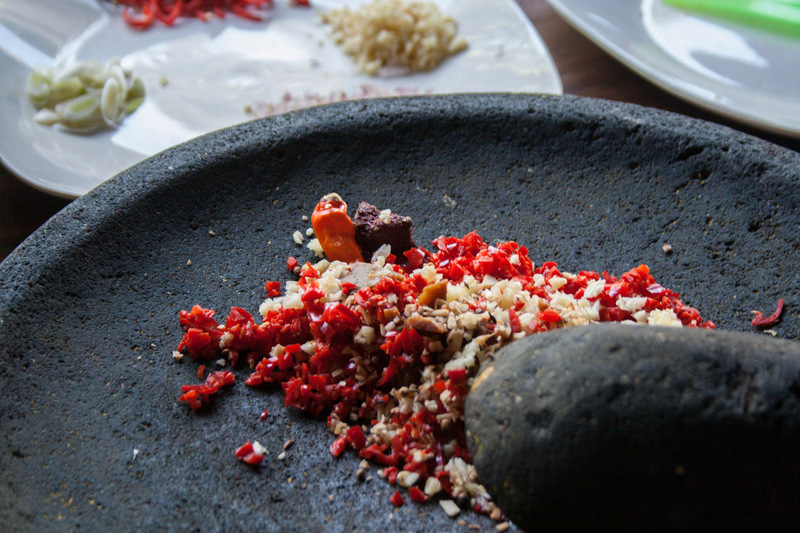 Frank Camorra of Movida fame recently opened a Balinese arm of his Spanish restaurant empire. Frank isn't the only one to have made the move into the Bali restaurant scene. Adrian Reed has opened Motel Mexicola. Sydneysider Will Meyrick has Mama San, Byron Bays Ben Cross has been cooking up a storm for years at Ku De Ta. Whilst the odd Balinese roasted pork may sneak onto these menu's the focus is definitely not Balinese. 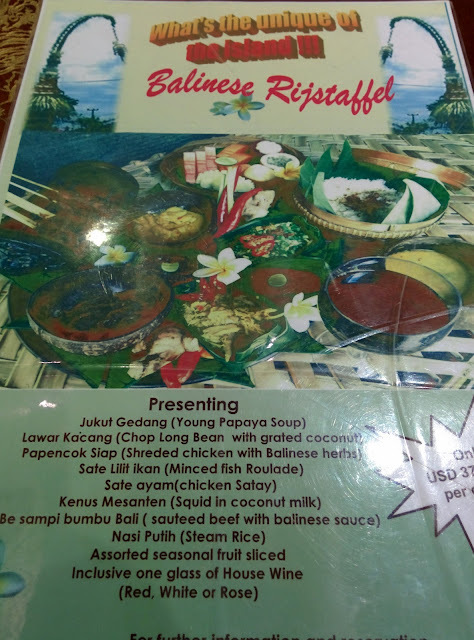 Whilst these restaurants are world class and the food second to none with the outlandish Western prices and irrelevent cultural influences for a destination like Bali it isn't what I am looking for. It does actually take a little digging to find locally run establishment serving local food and local flavours. It is a shame really. Balinese food is culturally vibrant using fresh produce, locally farmed meat, fragrant spices and complex curry pastes. It is something that will not only heighten your experience of the destination it will aid in taking you away from a locale that can be a tourist trap if precaution is not taken. 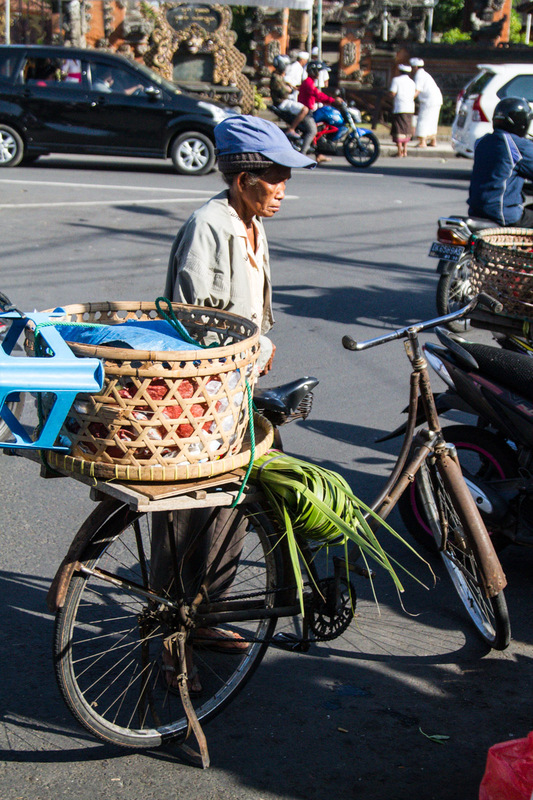 Once you are on the street there are a number of ways to find the local food. The local Wurung's (shops) are not well advertised and can often disappear, tucked away in out of the way alleys off the main tourist strip. But if you ask the locals where they eat you will find a world of locally run Wurung's that service the shop keepers and taxi drivers. The food here will be simple, cheap and will connect you with the people. 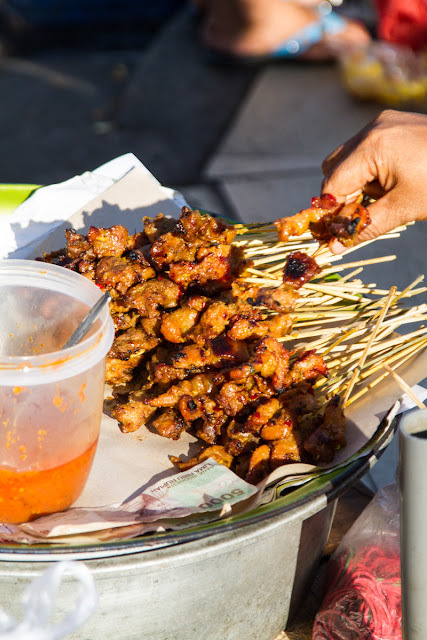 There are a few staple dishes you will find on the streets. 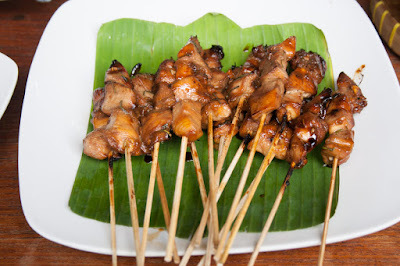 The Sate sticks are a must. You will find these in a variety of meats chicken, beef, mutton, fish or the minced variety Sate Lilit where the minced meat is mixed with spices and coconut milk. 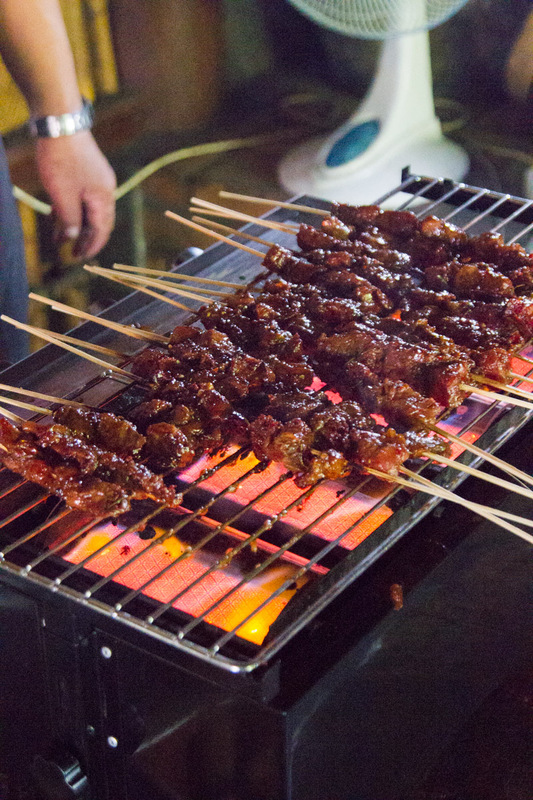 Traditionally cooked over coals which adds a smoky aroma to the sticks and served with a spicy sauce you will find yourself hunting down these little beauties again and again. The Indonesian rice dish Nasi Goreng is quite easy to find even in the more westernised establishments and with it's mix of meat, scrambled eggs, vegetables and sweet soy you are sure to love this hearty rice dish. There is also a great variety of chicken and duck dishes that will hit the spot. The slow cooked duck that is Betutu or the Nasi Ayum and Nasi Campur are well worth hunting down. 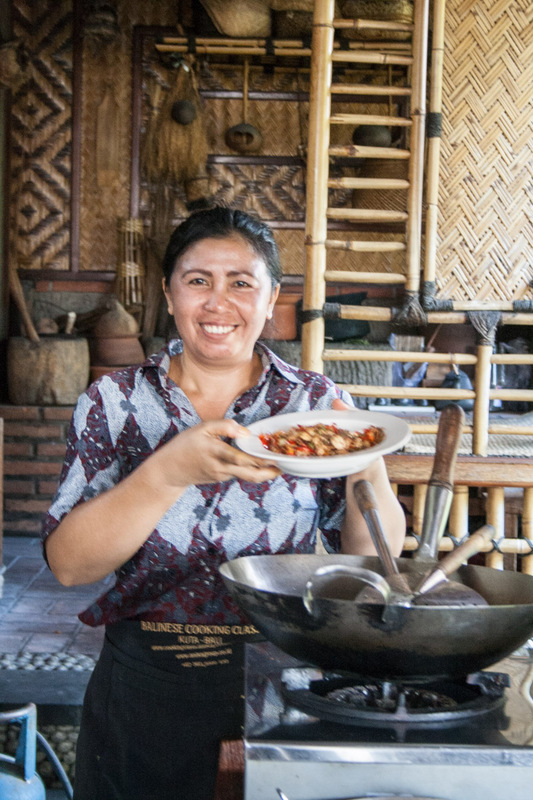 It can be hard to get into specifics when talking about Warung's as the information dates so quickly, locations are hard to describe and establishments come and go. We found Echo beach a great spot for getting some local food. 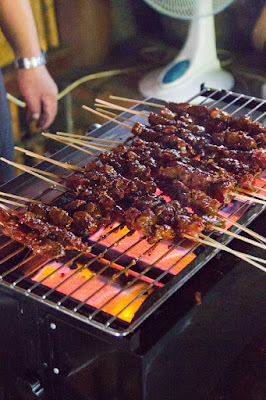 The restaurants on the main beach built out on the break wall cook up sate sticks all day and night over coals just as they should be. Off the main beach area we ate at a great little place called Red Salt on the road to Echo beach. It was an open air, overlooking rice paddies and the owner could not be more accommodating. 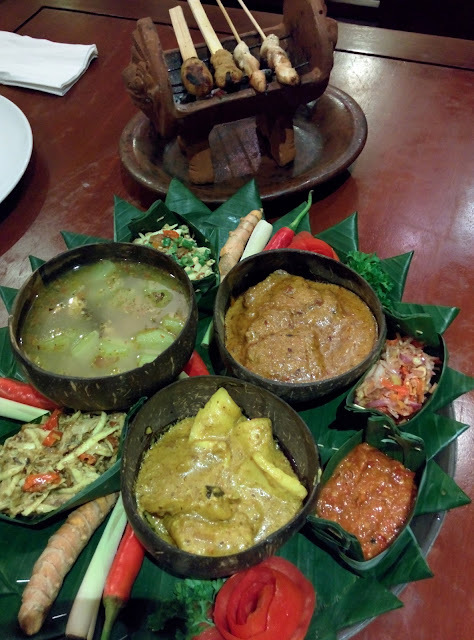 I found local dishes easier to find in Ubud. The main restaurants were less influenced by big name chefs and big name hotels and still served up the local specialties. This could be fast changing as last time I went through Ubud it looked like it was groaning under the weight of tourism. The main key is to follow your nose and follow the locals. 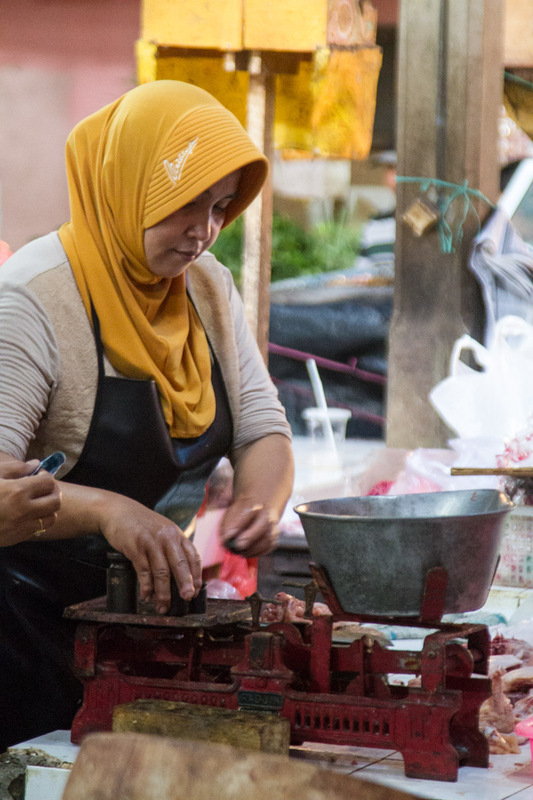 Babi Guling has to be one of the best dishes native to Bali. It is whole suckling pig, rubbed in spices and slow-cooked over coals until the meat is tender and succulent and the skin smoky and crispy. Here is a great article on hunting down the best Babi Guling. My first experience with it was a little different. On a family trip to Bali we were based in a villa in Ubud. It was my mother-in-laws 60th birthday and we arranged a feast to take place in the villa. 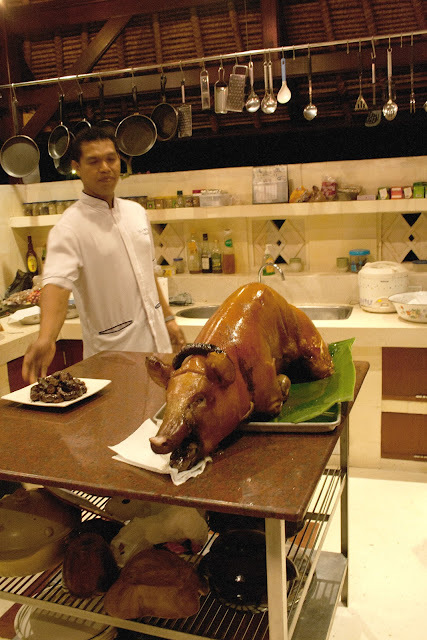 The suckling pig was bought from the villagers surrounding our villa, they spent hours hand-cranking the spit until juicy, tender perfection was achieved. The result was served on a huge platter and cut up at the table and we split the large quantities of meat with the locals we bought the pig from. Rijsttafel is the Dutch word for "rice table". Clearly a little has been lost in that direct translation but a Rijsttafel is basically a banquet. The dishes are served in small portions but a large array of choice. 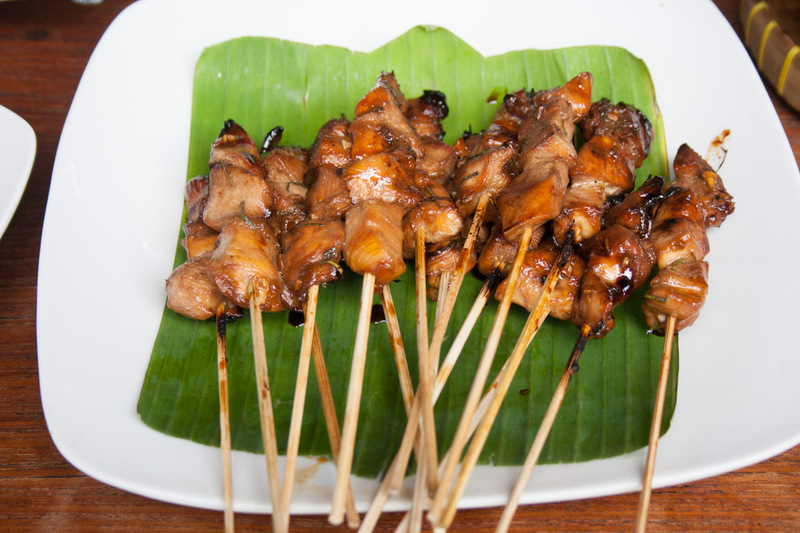 You will see a variety of local dishes like sate, curry's, sambals and rice dishes. it is the perfect way to try a range of local food. We had a Rijsttafel delivered to our open air lounge room and the Bali Dream Villa at Echo Beach (which by the way is a brilliant little resort, totally low-key but with stunning gardens and very private villas with their own pools, very friendly on the pocket too). If you aren't staying at the resort you can still eat in the restaurant, you do need to order a day or two ahead for the Rijsttafel but it is well worth the effort. 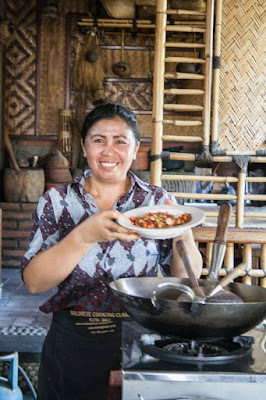 The food is outstanding quality, some of the best Balinese/Indonesian food we had on our most recent trip to Bali. The highlight of our trip was the cooking classes. 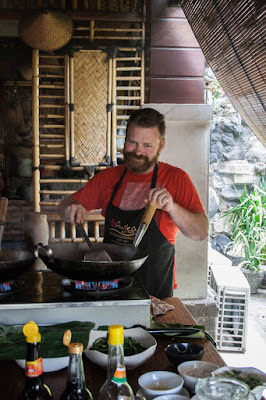 It is no secret I love to cook and to learn a local cuisine on location from local people is basically my idea of Nirvana. This gave us a chance to not only cook but then eat a very wide variety of local dishes, far more than we had found out on the streets. 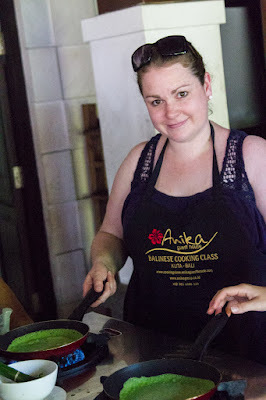 I had read a lot about Bumbu Bali and was disappointed when it was fully booked for the duration of our stay but it appeared to be fate as the cooking class we did at Anika over the course of two days was brilliant and they came and picked us up at our door which was a long hike from the cooking school. That is actually a hot tip, the traffic in Bali can be insane so if you plan to undertake a tour or activity somewhere any distance it is best to go with a company who will collect you. It will save on costs as well as save on the stress of getting there on time. We opted for the tour of the local markets on the way to the venue. This was an eye opener but really bought everything together. 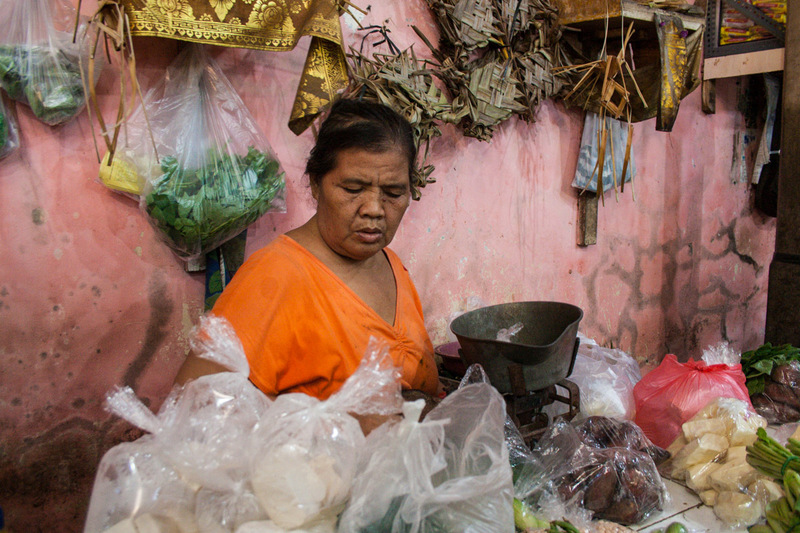 Seeing the locals shopping for their own food and getting an idea for what they are able to purchase locally was a real insight into the culture. 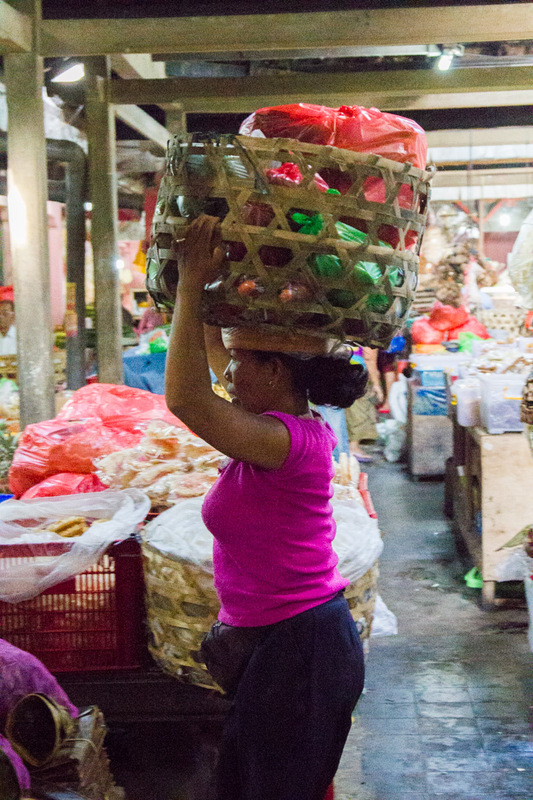 The workers in the market also put any westerner to shame. Those people work incredibly hard in a very hot and difficult environment for very little money. If you want to read more about my reflections on life in Bali check that out here. Once at the cooking school we were treated to a local breakfast which featured some local fruits like the Indonesian Snake Fruit (Salak) which was very unusual indeed, possibly an acquired taste.With breakfast finished we were broken into two groups of around four people each group and each person was given a task mostly involving grinding various spice pastes. The class ran like clock work, the ladies assisting could direct you on how to grind efficiently and were always on hand to make sure you continually washed the chilli off of your hands to ensure no accidents happened. When it came to cooking it was like watching a choreographed dance. There was opportunities to participate taking your place at the burner and wok and there was time to observe and take it all in. After day one I was so glad we had booked the second day at the discounted rate. We had had a ball, learnt so much about local flavours and ate a wide variety of amazing food. Each day was a different menu and we got to take home the cookbooks so we can re-create the food at home.